I recently tried this agency for myself and the experience was very good. I was looking for someone to help me out with my husbands birthday celebration as 15 kids with parents were expected. In order to give some peace for the adults I needed to organise a kids program including babysitting. Our party lasted 4 hours and we held it at the GolfYacht Hotel. Within the function space Agency Andelin built a play area and two very kind girls who spoke both Czech and English looked after the children. 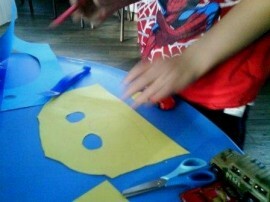 They prepared all kinds of activities like a drawing contest, mask making and book reading. Prior to meeting with the agency I was sent a detailed questionnaire where I expanded on all my ideas for the day, what it should look like and how the kids should be looked after. I then met in person the owner of Andelin who helped me plan all the fine details to ensure the kids were suitably entertained and catered for at the party. What I mainly liked was her approach. 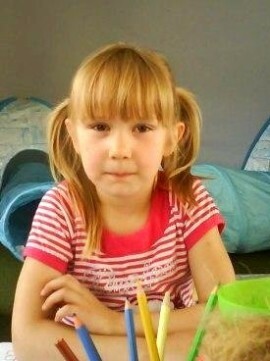 Katerina (Katka) is a very sweet person who loves kids, and looking after them gives her inner peace. She told me she works only with babysitters she personally knows therefore she can guarantee the best care. She also babysits alongside her co-workers. It isn’t her main business and you feel that she is not just trying to squeeze the money out like many other agencies. Her Agency Andelin provides babysitting in all different languages as some of her sitters are also teachers of foreign languages. Andelin also provides their own toys, if needed, and can literary build a Play Area wherever you need it. It’s most suitable for weddings, private parties, picnics and other functions you can think of. I thought this would be very practical for companies as well during Christmas parties when parents are able to come along with their whole family. So if you can recommend Andelin Agency to a friend’s company I am sure they would be thrilled. The provide both one-off baby-sitting and baby-sitting on a regular basis; their service can also include accompanying children to and from school, kindergarten or to hobby groups. Babysitters are able to look after children both during the day and at night as well, including weekends and holidays. If you prefer a child minder working full-time for you and paid by you, then the agency can help to find the right child minder for you, strictly to your specifications – all individual agreements are set in a contract by the agency.